GAP insurance makes sure there is insurance in the event your car is totaled and it’s market value is less than the amount owed against it. 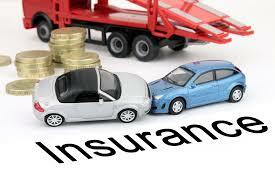 Insurance companies will only pay you for the vehicle’s fair market value if its totalled. If the car was worth $5,000 and the lien owed against it was $8,000 you would have to come out-of-pocket for the difference regardless of fault. That is where GAP insurance comes into place. Uninsured Motorist Coverage protects you in the event you are injured in an accident caused by another. Recently, a family member of mine was in a car accident and it was deemed to have been caused by the other driver. The other driver believed she had auto insurance. In fact she did but not for the vehicle she was driving. As a result her insurance company denied coverage. Fortunately, my family member had uninsurance coverage and was able to get compensated for his pain and suffering. Everyone needs to review their insurance policies to make sure all their property is protected to prevent loss in the event of an accident!